Are you new to this game? 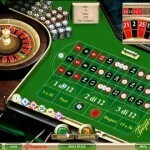 : Learn the basic rules of craps before playing. Winning at craps can be more from pure chance than from pure skill. This is true of most common casino games, of course, but certain games have greater flexibility with the player than others. Although there are no certain, infallible ways to win at a game like Blackjack, for example, there are a number of methods that can help the player reduce the house’s edge and increase their own odds in the long run of a game. Several variants on a strategy can be employed to minimize your chances of going bust or beating the dealer, some of them fairly detailed and complex. Being an extremely popular game among casinos and online casino websites, craps has also been studied and strategies devised in order to gain a certain amount of momentum against the greater amount of chance involved. By implementing a few simple tips, making sure you go into the game with plenty of foreknowledge about the niceties of the game and remaining persistent in your desire to win, you just might win some money at the craps table. How to win in craps? Firstly, learn the game. This cannot be repeated enough times. To some it may seem redundant to mention it or too obvious to bother with others, but the importance of this basic idea is paramount. Know the rules forward and backwards. Try not to put yourself in a position where you won’t know how to proceed with a bet in the most favorable way. To become a champion at slinging the dice you need to understand the bets, especially those which will give you the best odds of winning. Memorize the bets that give the least advantages to the house, and which ones are most detrimental to your own chances. Here are a few practical tips to help you practice the guidelines above into your next craps game. •	Study the odds bets. These are some of the best bets for a beginner to make. With odds bets the advantage of the house is almost irrelevant. Although this is unlikely to lead you in the direction of a huge jackpot it will provide one of the best chances of winning consistently. •	Another bet that leans more in the player’s direction is the Pass Line bet. This is a less risky bet. The higher winning bets, of course, are much more in the house’s favor so do not be tempted by them. At least not until you’ve build up skill and enough cash to risk the chance at a big jackpot. Look center to the left of the craps table (depending on where you are standing) and you will see three sections: Any Craps, Hard Way and Seven. Those are three bets you will want to steer clear of until you’ve built some skill into your game play. •	One of the best ways to learn the intricacies of the game is simple observation. Don’t be afraid to play a few free online games for practice or sit in on a table to watch more experienced players take their chances, and less experienced ones make their big mistakes for you. Learn the dos and don’ts before you ever lay cash on the line. Build up an innate feel for the game and always understand the odds. These guidelines are intended for a beginner, to help encourage them with small winnings instead of leaving them with big losses. Do not expect to walk away with a sack full of cash with these strategy tips alone. Any player serious in making money playing online casino craps will have to extensively study the game in detail. Does Card Counting Work in Online Blackjack? Online Poker Tips : 6 Important Factors to consider in your game!